Your home’s plumbing is a lot like your HVAC system in the sense that you depend on it daily, but you don’t often stop to think about how well it’s working. In fact, we tend to only notice our plumbing and HVAC systems when they’re not working properly. In today’s post, we’ll review four of the most common plumbing problems homeowners in the Toronto area experience. If you are experiencing any of these problems, or any kind of issue with your plumbing, then schedule an appointment with The Great Plumbing Co.
Stubborn drains are one of the most common problems homeowners experience throughout the year. Maybe your kitchen sink isn’t draining as well as it used to, or perhaps your shower drain is completely clogged. The good news is that while clogged drains can be frustrating, they’re often not difficult to fix. Instead of taking your chances with a drain cleaner from your local hardware store, call an experienced Toronto plumber and let us ensure that your entire plumbing network is working efficiently. 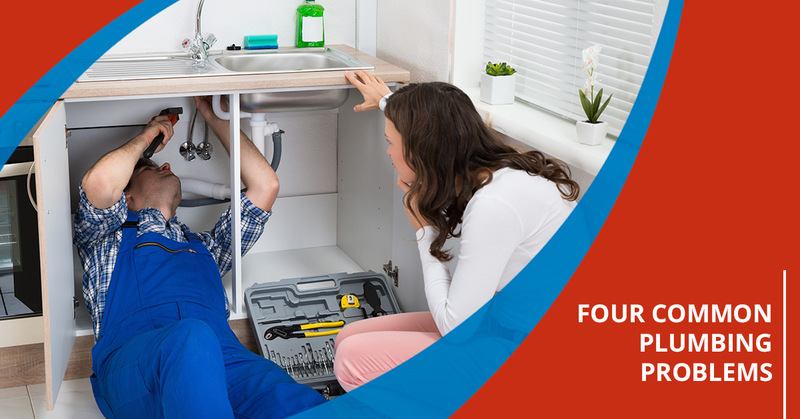 We’ll perform an inspection and make sure that your drain is the only problem with your kitchen plumbing and that everything is in working order. A leak of any kind will slowly but surely drive up your monthly water bill. Leaks are generally caused by a loose washer that leads to a broken seal, allowing water to slowly trickle out. 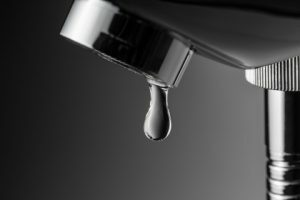 Repairing a leaky faucet isn’t a difficult task in and of itself, but it’s always best to have a professional plumber perform the work. You may not have the proper tools and hardware to repair the leak yourself, and you may even inadvertently cause more damage. Strange noises whenever you flush a toilet, run the faucet, or turn on the shower are almost always a cause for concern. With the temperatures now dropping below freezing, clunks and bangs are often indications that there is ice in your pipes. During the summer, odd noises can be a sign that there is a blockage somewhere in your pipes, or that water is leaking somewhere in your system. Regardless of the season, you should always schedule a residential plumbing appointment when you hear odd noises coming from your home’s plumbing system. While many homeowners believe that toilets should be able to flush anything, non-flushable items like baby wipes, paper towels, and cotton balls can all contribute to toilet clogs. Even in instances in which you’re only flushing toilet paper, mineral deposits that build up over time can often cause a plumbing system to slow down significantly. The problem could also be that your sewer line needs to be repaired, or that your home’s toilet is simply outdated and needs to be replaced. Every situation is different, and we’ll work with you to find an ideal, cost-effective solution for your home. Keep an eye on our blog page, as we’ll continue to add information about residential plumbing and common plumbing problems in future posts. The Great Plumbing Co. is proud to be your Top Rated Local® plumbing company — schedule with an appointment with a Toronto plumber today!